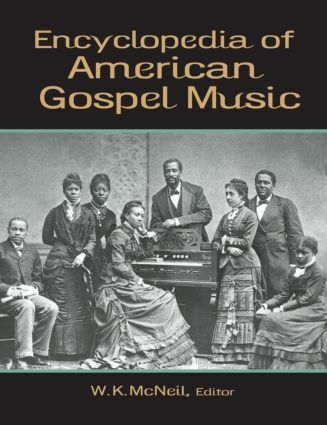 The Encyclopedia of American Gospel Music is a comprehensive reference source covering all aspects of both African American and white gospel from history and performers to recording techniques and styles, as well as the influence of gospel on different musical genres and cultural trends. Now available in paperback, this work is a valuable reference for both scholars and the general reader. Organized alphabetically to facilitate searching, this encyclopedia also contains many reference tools to aid the user such as bibliographic and references at the end of entries, a thorough and analytical index, and black-and-white illustrations. topics ranging from instruments frequently used by gospel performers to types of performing groups, such as gospel quartets and gospel choirs, to the unique qualities of gospel as it is composed and performed in different regions around the United States, to the globalization of gospel. Dr. William K. McNeil was the folklorist at the Ozark folk Center in Mountain View, Arkansas. Dr. McNeil worked for the Smithsonian Institution and the Office of State History in Albany, NY. In 1995, he was elected to the Fellows of the American Folklore Society. He was the author of sixteen books and produced thirty-six recordings dealing with folk, popular, country, and gospel music. His Smithsonian Collection of Classic Blues was nominated for a Grammy Award in 1993.